Facebook’s controversial efforts to bring internet access to the developing world are now on hold, after the $200mn Israeli satellite it hoped to use was destroyed during Thursday’s explosion of a SpaceX rocket in Cape Canaveral, Florida. #spacex #falcon9 explodes on launchpad. SpaceX’s Falcon 9 rocket exploded during a pre-launch “static fire test,” destroying the AMOS-6 satellite along with it. A number of different players from around the world had a stake in the communication satellite’s launch, scheduled for this Saturday. 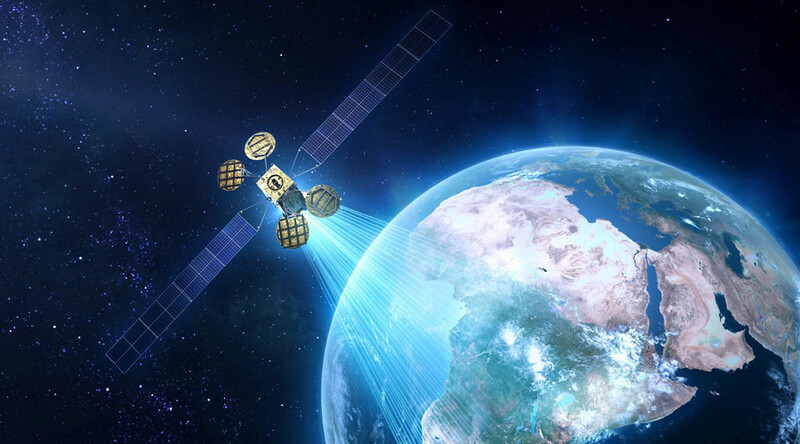 AMOS-6 was part of a partnership between the social media giant and French satellite operator Eutelsat worth $95 million, which was supposed to pay for the lease of “Ka-band spot-beam broadband capacity” with "18 gigabits per second of throughput," according to Space News. Eutelsat claim the explosion will impact on it's business worth as much as $56m to 2019. The satellite was built by Israel Aerospace Industries, which last week agreed to a $285m buy-out from China’s Beijing Xinwei Technology Group, according to the Israeli newspaper Haaretz. If the sale is successful, the Chinese conglomerate will take on the Israeli company’s debt of 1.478b shekels ($390m). Spacecom estimated the cost of launching, insuring, and operating AMOS-6 for one year would be $85m. SpaceX confirmed the payload was on board the Falcon 9 during the pre-launch test when the explosion occurred. The incident has been attributed to an “anomaly” on the launch pad, rather than a problem with the rocket. So per @SpaceX, the issue was not with the rocket itself, but a pad anomaly. Bad news is that the payload (Amos 6 satellite) was lost. Last year, Facebook CEO Mark Zuckerberg announced that the tech giant would deliver internet from space through the Internet.org initiative. However, critics have accused the plan of violating the principles of net neutrality and favoring Facebook-approved websites. The satellite was due to launch on September 3, to a geostationary orbit that would have covered large parts of sub-Saharan Africa. Internet.org has experimented with providing internet access through the use of new technologies, including solar-powered drones that act as wireless routers for months at a time. AMOS-6 was intended to act like a router in the sky over sub-Saharan Africa, beaming internet access down into communities from above.